Just finished this recently. Its 3m x 70cm x 30cm. 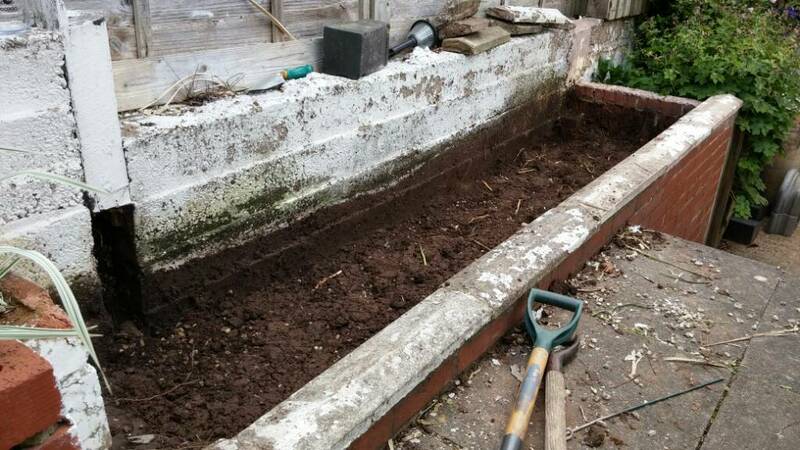 Lined with pond liner and filled with peat and topped with sphagnum. 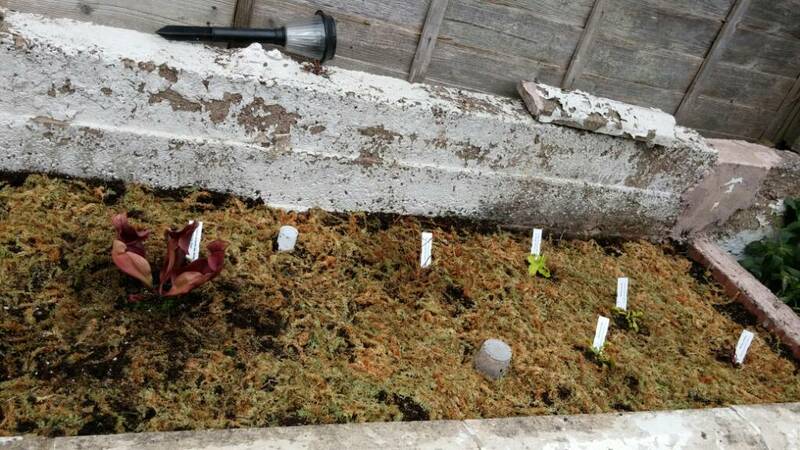 Got first few specimens planted now. very nice would love the space for one this big. 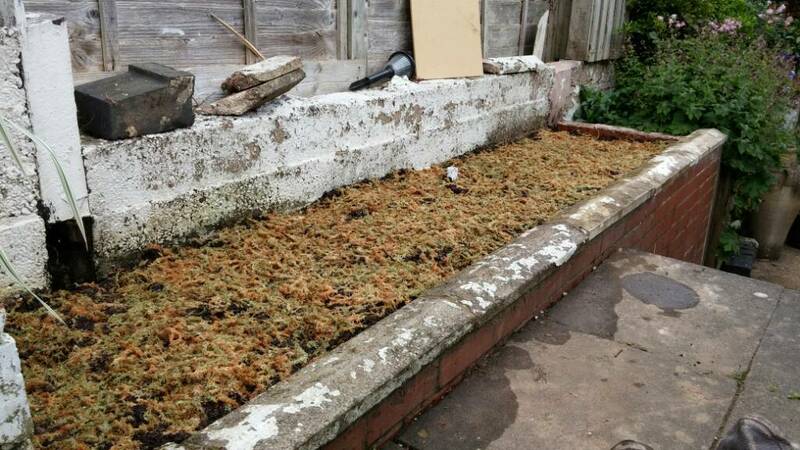 What a great spot for a bog garden, i like it ! Thanks for the responses. I'll try to get the pics embedded properly. 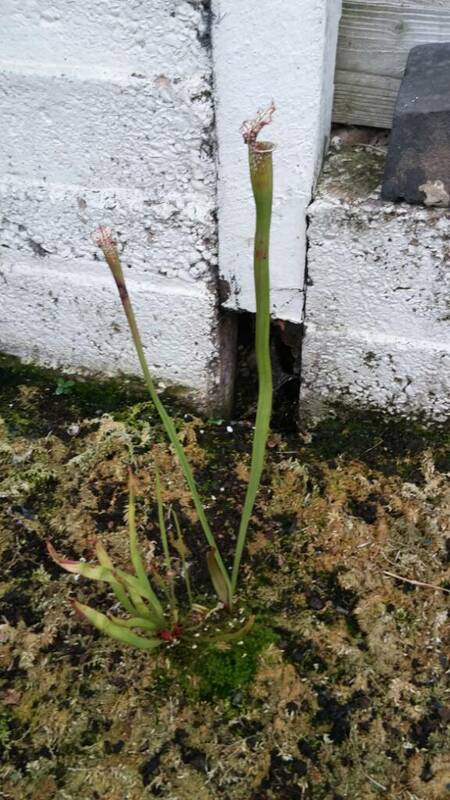 Im a bit of a saddo but the thing I'm most excited by is the moss. 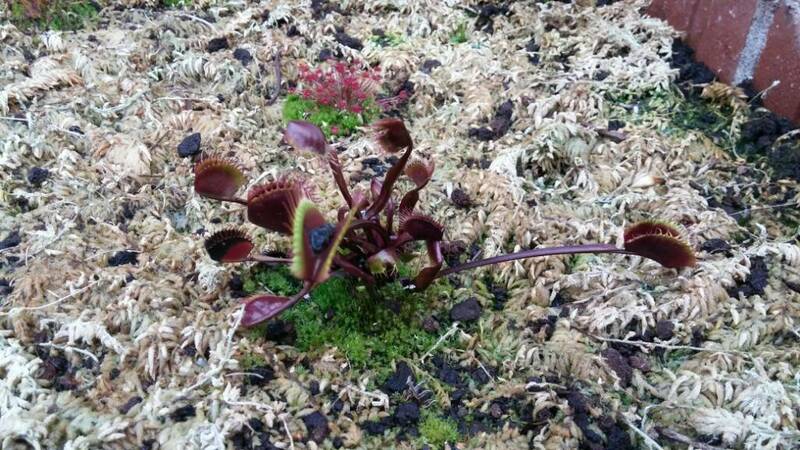 Enjoy the vft's at the mo but the trumpet pitchers are my fave when they are in full flight. A few weeks in now. 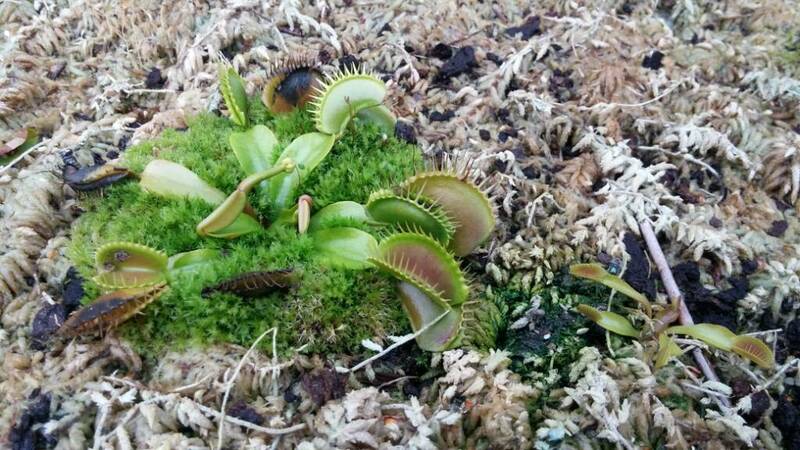 The butterwort is feasting. Interests:Piano, Astronomy/Physics/Math, Music - classical, ballet and opera, carnivorous plants. And draq queeeeeeeeeeeeens! Those docs don't exist now. 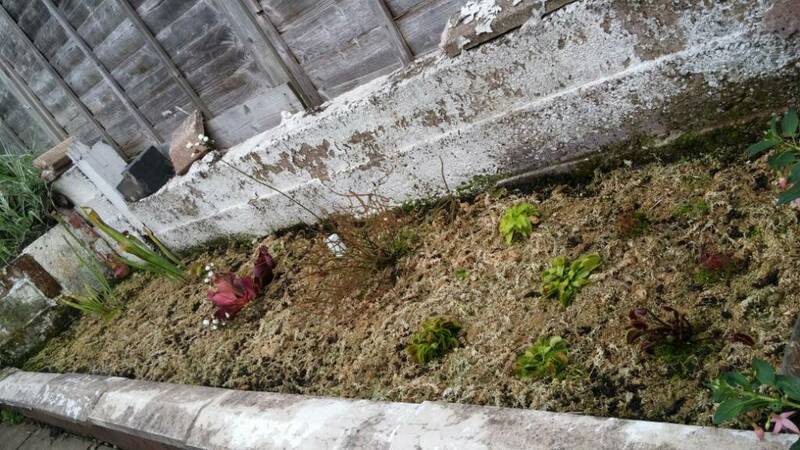 Any chance you could post the info here, as I really want to make a bog garden, and am interested to see what other people have done. Any chance of some more recent pics? I'd love to see how it developed over the summer. A few notes. First I'm sorry I'm not big on learning the names. I'm fairly pleased with how its gone this year. The sphagnum didn't take so it looks a but dry but normal moss is starting to populate. I'll try sphag again next year. It needed a lot of watering for the first month. The peat just soaked it right back up so there was no ponding of water. The rain keeps it topped up now though. 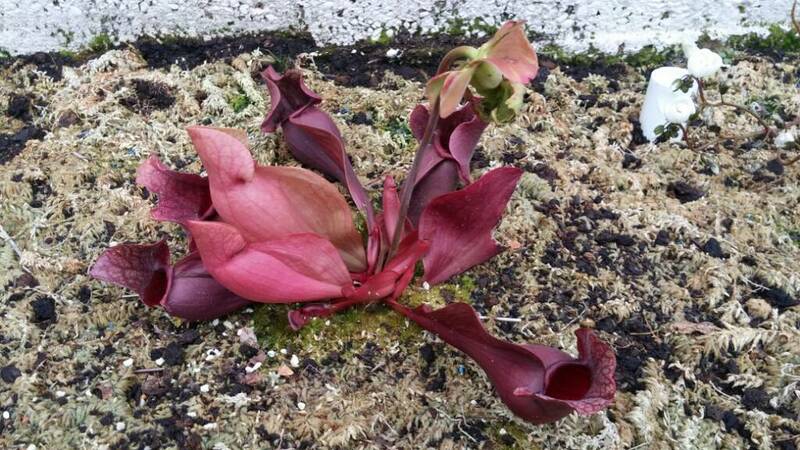 The leucophylla? White trumpet pitcher didn't do much. The other one was OK probably do better next year. 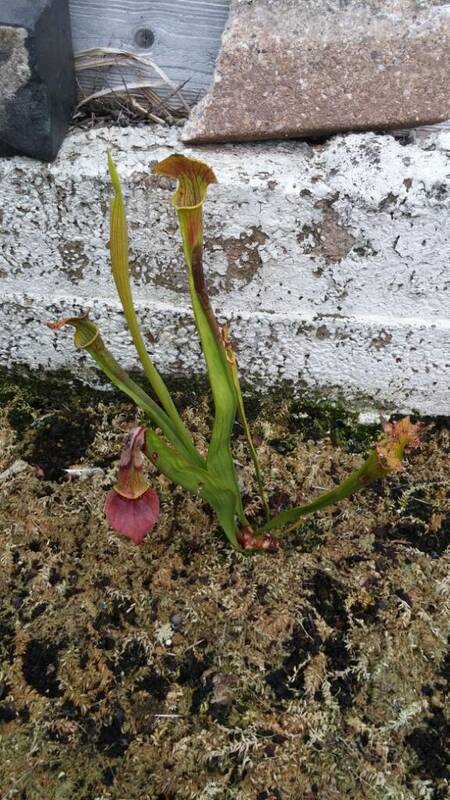 The other pitcher is OK. Flowered early on and is only just starting to make pitchers again. It suffered bird attacks early on too trying to get the flies. 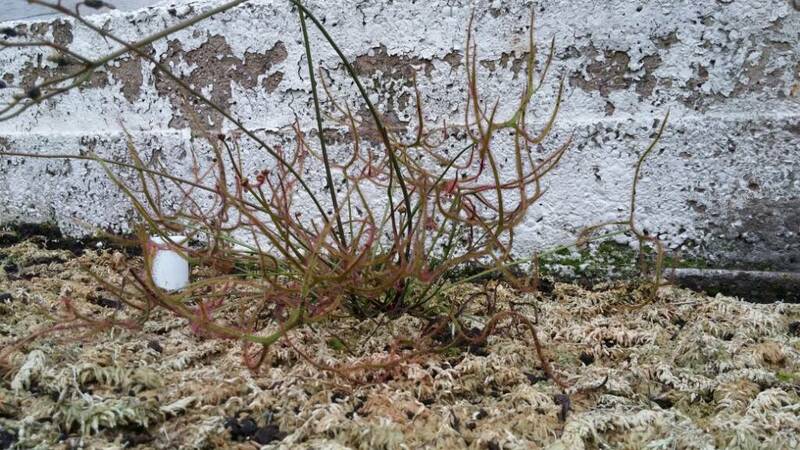 The big branchy sundew did fantastically. 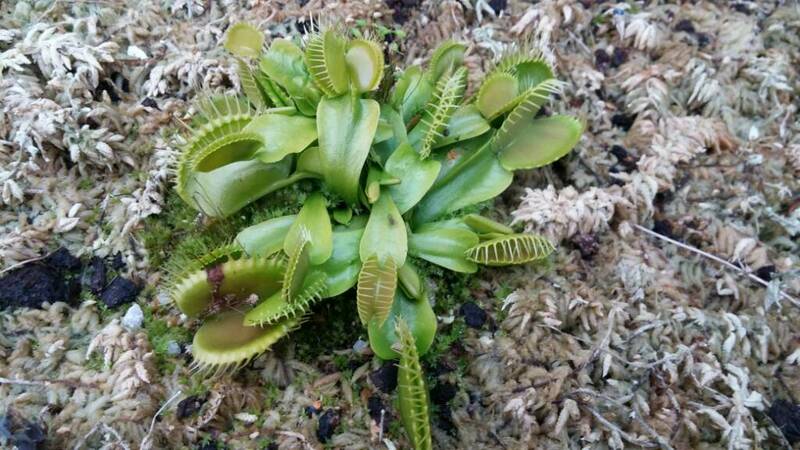 The big mouth vft did great too. It's a bit crowded by itself though - needs splitting off. 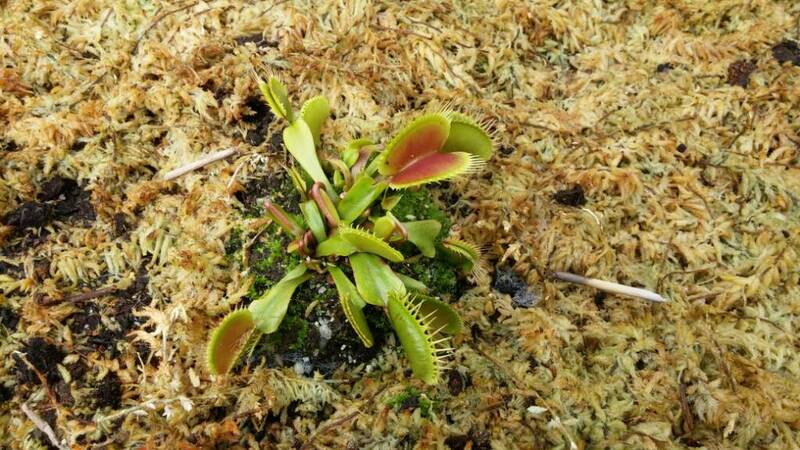 The big green vft was good too. 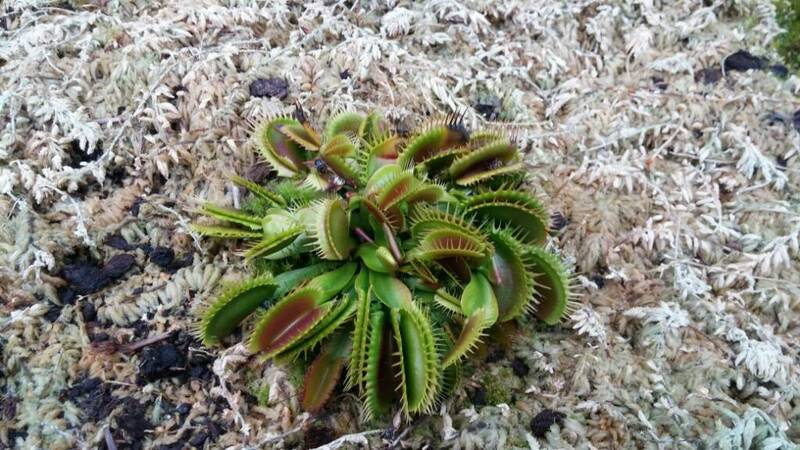 I did a homebase rescue job on a big standard vft. Experimented on it - split it. And pulled one apart for cuttings. 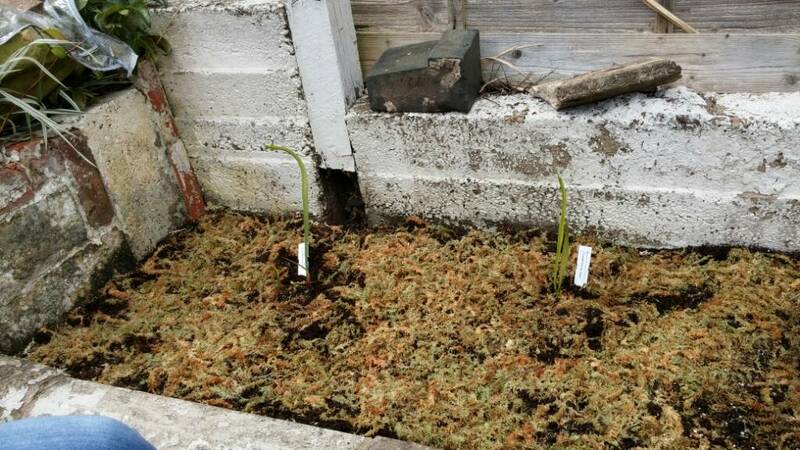 The teeny one next to it is a left over bit of rhizome I shuvved in the peat - it worked! 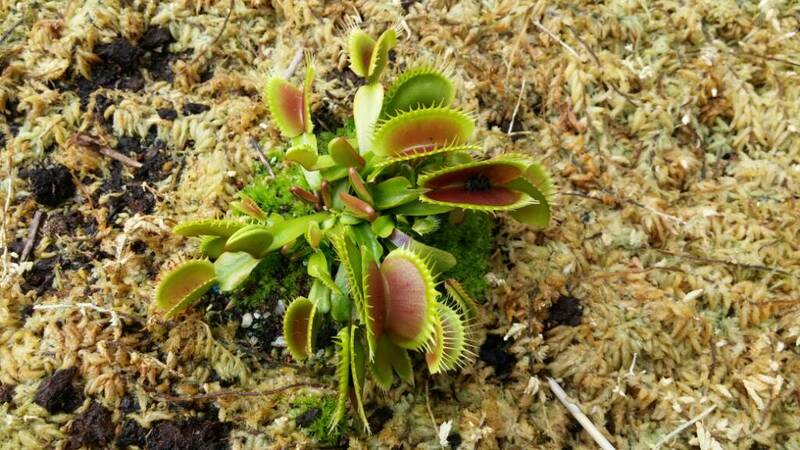 Strangely the rescue vft is sending up a flower now in sept. 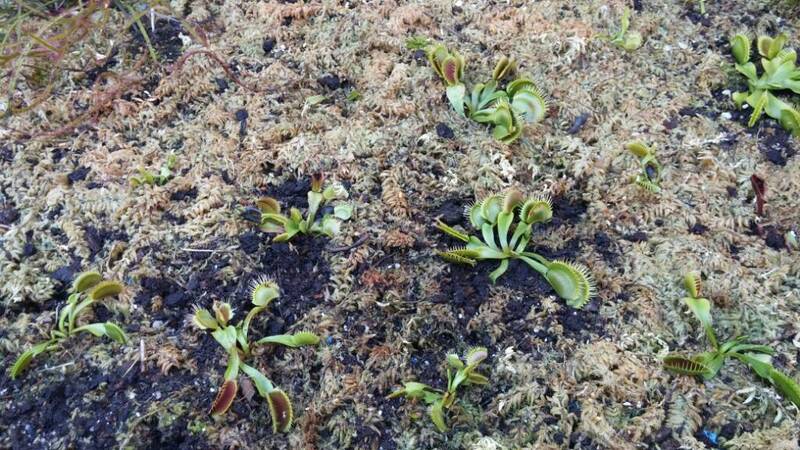 I'll cut that soon and stick it in the peat. 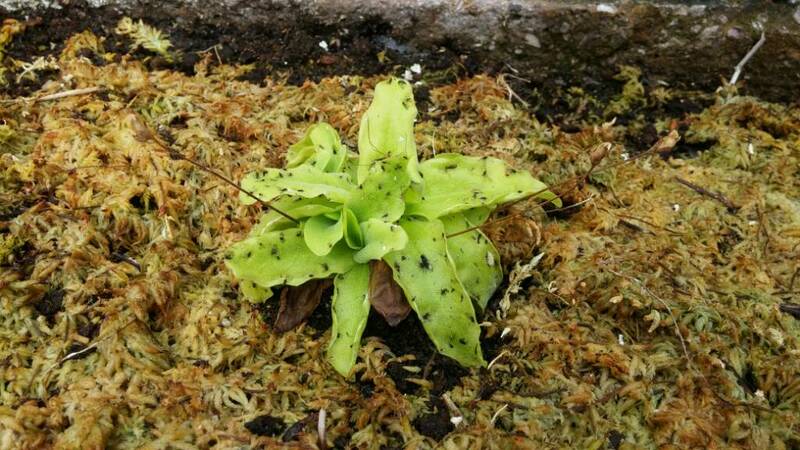 Big butterwort did great and there are many many little butterwort leaves popping out around the place now. 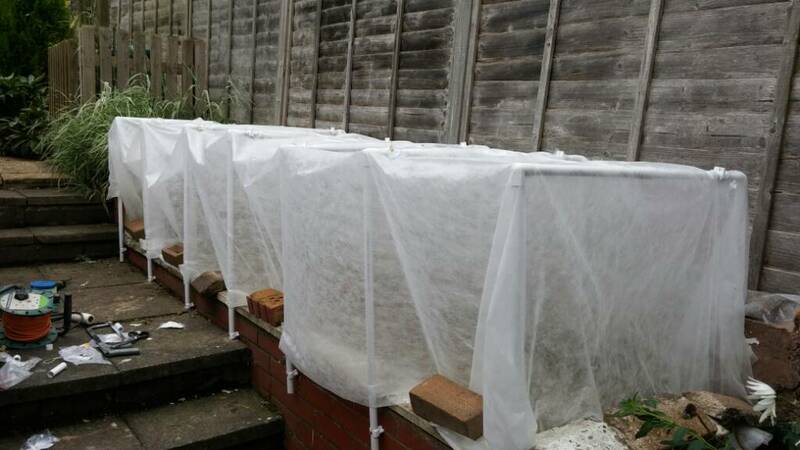 Cover in fleece over a frame for winter soon. Out of interest, whereabouts in the UK are you? I'm just interested to know how your weather compares with ours. 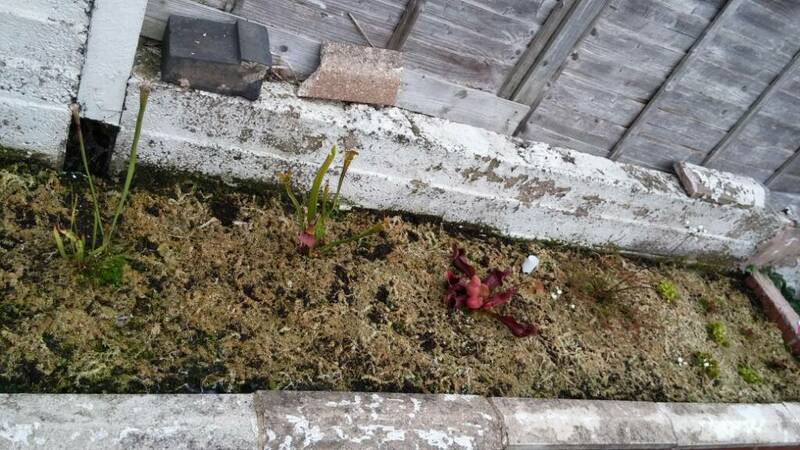 Also, what location is the bog garden in, is it exposed or sheltered? All helps to assess what you've done. Just south of Birmingham. It's facing south east. It gets the morning sun directly. It's sheltered from strong winds by the house and fence. Interests:Breathing mainly, I've found it quite worthwhile. 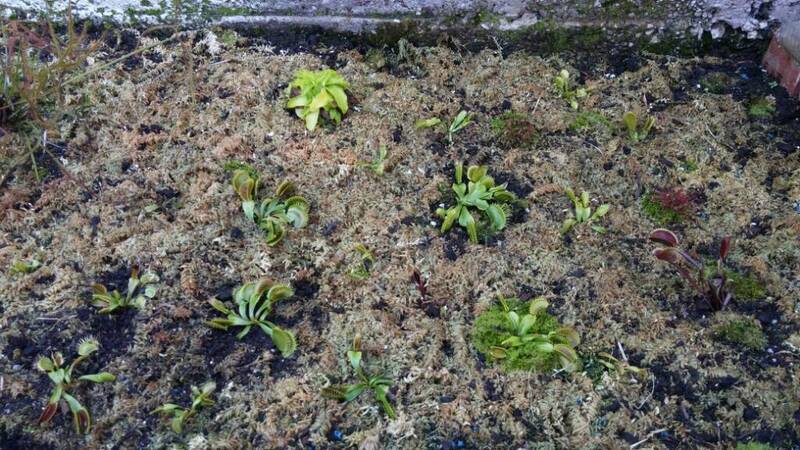 The sphagnum didn't take so it looks a but dry but normal moss is starting to populate. I'll try sphag again next year. 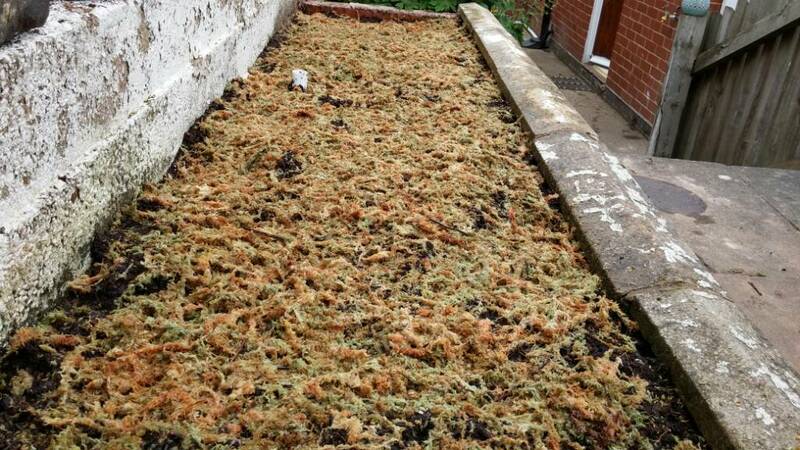 It looks like you used dried and dyed Sphagnum in the first place. Am I correct? Probably. It was a big bag of it at the garden centre. I thought a but of it might regenerate but not so. I'll get some from the woods next year. It was quite green in the bag which I thought meant either life or algae - didn't consider it might be dyed. Still its been useful in keeping the top of the peat moist. You seem very keen to add the blackbird statements Fred, have you been wronged many times by these creatures? Do I sense a tad of hostility? Blackbird protection will be fully implemented. 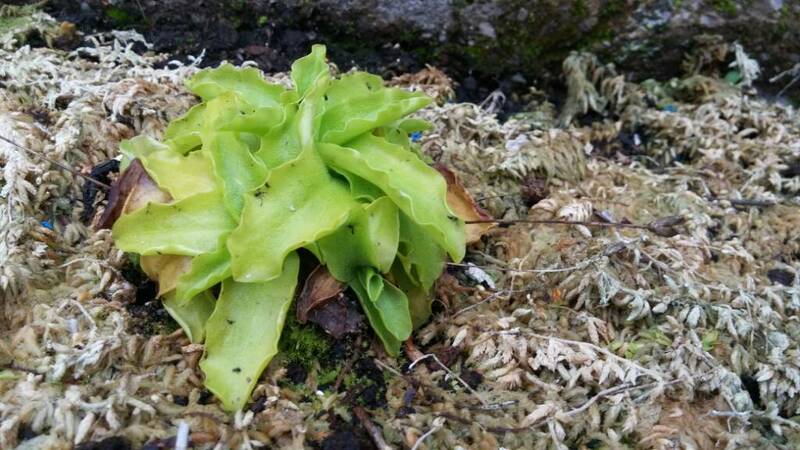 I've lost lots from small container bogs in previous years owing to nesting season. It'll be grand sure. 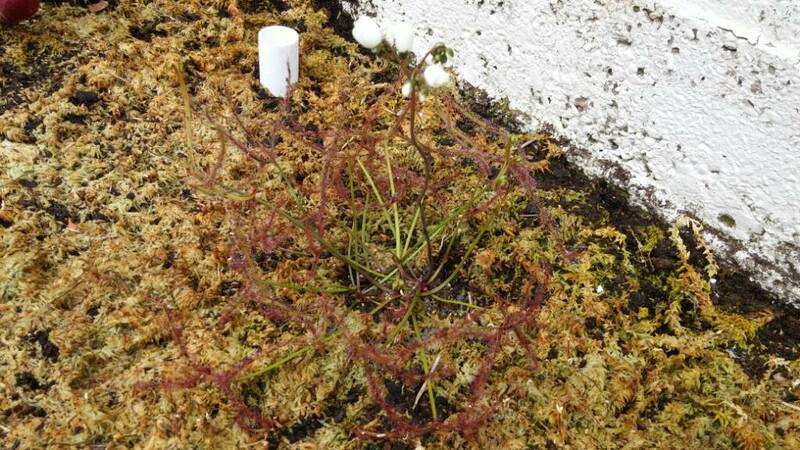 I did once leave an 8" pot of sphagnum out unprotected. It was empty in under an hour and there was an irate female blackbird in the bottom demanding to know when I was thinking of getting around to refiling it ( soon if you know what's good for you). Just split off the VFTs today. Made 3 into about 20. 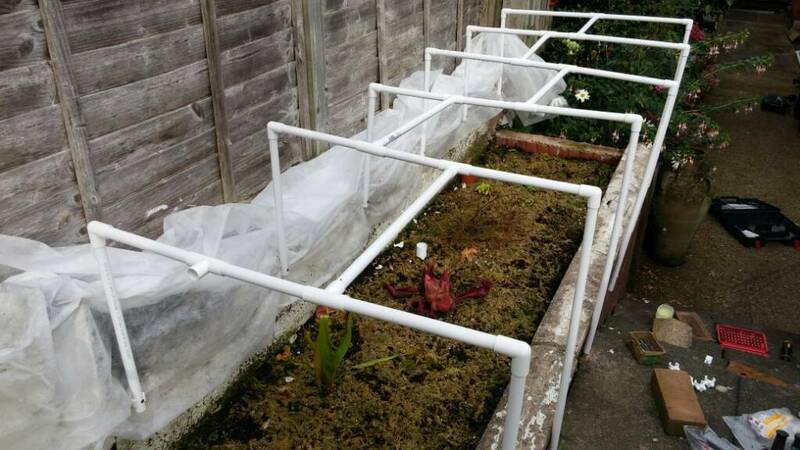 Made from 22mm plastic waste pipe. 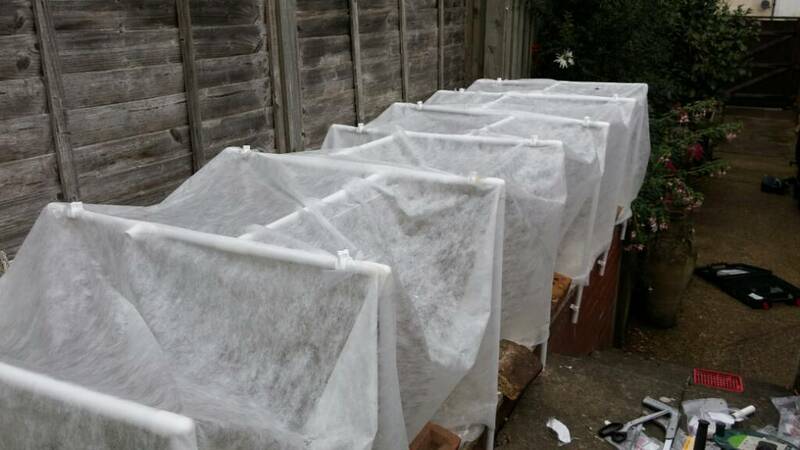 I'll swap the fleece for net in the spring to keep the birds off.